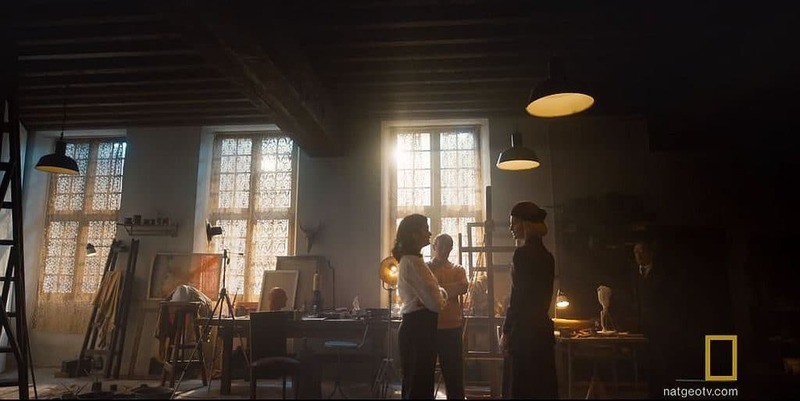 National Geographic Channel’s second foray into their beautifully conceived franchise of Genius focuses on Spaniard artist Pablo Picasso, the dark-eyed nonconformist who, to use vernacular, was a diminutive little s*** who blew away Europe during its most fractious period of 20th-century history. Picasso was a ripe pick for producers. A most prolific artist, it is estimated Picasso created 25,000+ works of art in his lifetime. 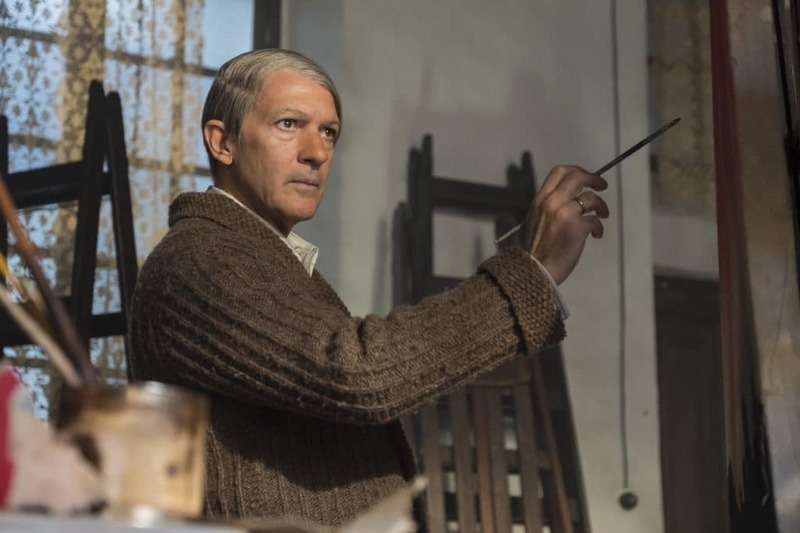 Elegant and earthy at the same time, actor Antonio Banderas was the perfect casting choice to play Picasso (the younger version of the artist is played in flashbacks by Alex Rich) and fills the role as profoundly as Geoffrey Rush did for the inaugural genius, Einstein. In the style of Einstein, the melding of scenes past and present paints the storytelling approach, adding dimension and interest to the actions of each scene. Picasso was a true-to-form early 20th Century man, made worse by his own middling artist and art teacher father Don José Ruiz who took him to brothels after mass on Sundays. This explained a great deal about Pablo’s outlook on women who were either “goddesses and doormats” as he was quoted by one of his later mistresses, Françoise Gilot, as saying. Undoubtedly, Picasso cast a spell on women that drove them to fisticuffs and even despair, mental breakdowns and suicide, as was in the case of Marie-Thérèse Walter, mother of his daughter Maya. He also had a legal wife, Olga, who at this point had given up on him and moved to the south of France with his son Paulo. They never divorced. Monsters and Critics spoke with Poppy Delevingne at the Television Critics Association winter press tour about her role as Marie-Thérèse Walter, the gorgeous blonde haired model who bore him a daughter. Marie-Thérèse and Maya were subjects of some of his most admired and optimistic artworks. Delevigne’s Marie-Thérèse has a pivotal scene with another of Picasso’s lovers and models, photographer Dora Maar (Samantha Colley), a political activist during the Spanish Civil War. It is a knockdown moment. While Marie-Thérèse gave him a beloved daughter, Dora was more a creative muse who stoked his creativity in a political direction, with art that opposed the Fascists of the time. The masterpiece mural “Guernica”, which depicts the misery experienced in the Basque town from the German Luftwaffe, was created from her influence on him. Despite his devotion to her intellect, her influence as an artistic muse was decidedly darker and more unflattering than the works depicting Marie-Thérèse. In a chance run-in, Banderas’ Picasso leaves it to his two lovers to sort their issues with each other as he paints, bemused by their anger. “[We have a ] proper catfight…like it’s intense. I launched myself. She [Marie-Thérèse] is sporty and was tall, athletic and strong. And Dora was petite…so it’s a bit one-sided, I’m not going to lie. I kind of win the fight, while he [Picasso] literally watches! It wasn’t just women that Picasso treated with a vexing inconsistency and callousness, but his male friends too. Actor T.R. Knight plays French poet Max Jacob, a Jewish friend of Picasso who was left dangling in Nazi-occupied France and sent to a camp largely due to Picasso’s refusal to sign a letter that vouched for him. Jacob was arrested and taken to Drancy, the French holding camp stop before Auschwitz. Despite the art and academic community in France coming to his aid with a petition, Picasso, who was given artistic wide berth by the Germans, refused to sign it. Knight told Monsters and Critics about his character at the Television Critics Association winter press tour. He said: “When he first got to France he was 19 and he was one of his [Picasso’s] friends. They were lifelong friends and…Max was in love with him for a time. In addition to loving him as a friend, he was also in love with him. “He was tortured by his sexuality…a very different time, but then not a different time because it still happens today. He’s a writer, both poetry, and prose. He was a painter and he was an art critic. 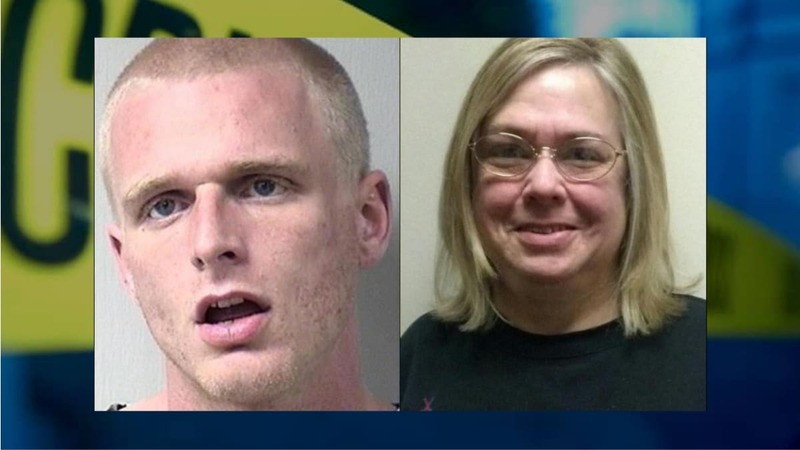 “He was born in France to a middle-class Jewish family. He had a vision of Christ when he was 33 and [he] converted to Catholicism and lived in a monastery. He didn’t become a monk but he lived in a monastery — separated himself from Paris for a time. 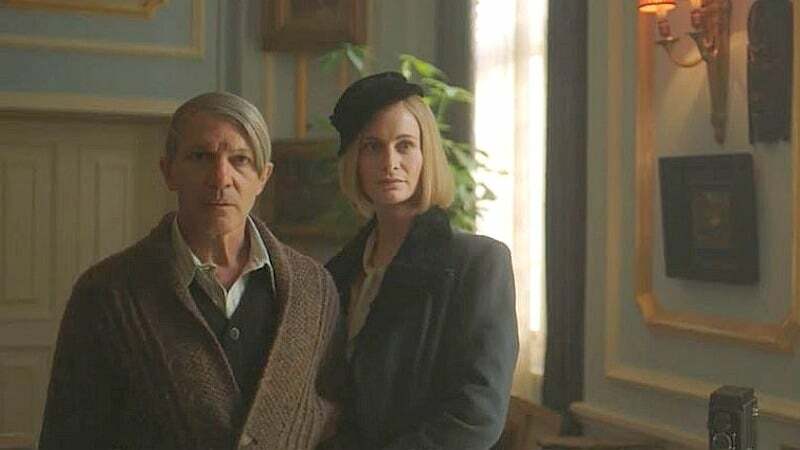 The telling of Picasso’s story in Genius takes viewers through his most important relationships, starting from his childhood origins in Malaga. We are introduced to Pablo in a most dramatic fashion, as a well-to-do uncle (Jordi Molla) saves the stillborn baby boy, blowing cigar smoke into his nostrils creating a wailing infant thought dead. He later becomes Picasso’s benefactor funding his education in a prestigious art school in Madrid. Pablo’s devotion to his sister Conchita is also explored, including the effects of her death on him. She died of diphtheria in 1895. The series deftly seesaws us back and forth through time as we see his majestic mural, Guernica, come to life. Adding the complexities of his love life over his lifetime and the fallout from each damaged love affair flavors the entire picture we see of Picasso the man, not just a genius. Expertly dressed, the costume designer, production designer and art department for this series are deserving of recognition come award time. National Geographic Channel’s latest iteration of Genius is a formidable tour-de-force by an ensemble of actors and craftspeople. It is a profoundly entertaining send-up of an imperfect life made highly watchable by the masterful gift that Picasso had. 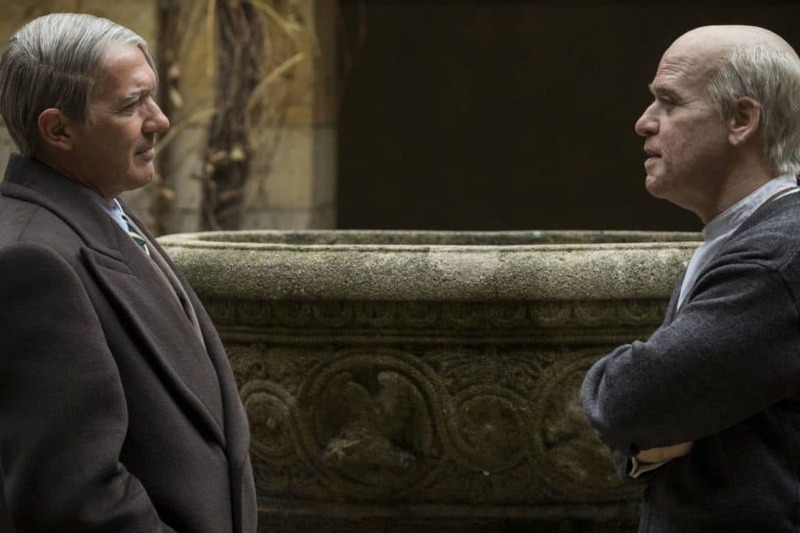 Genius: Picasso, with Antonio Banderas, is a limited series of seven episodes beginning Tuesday, April 24 at 9 PM E/P on National Geographic Channel.